« Une nation francophone, existe-t-elle en Belgique? 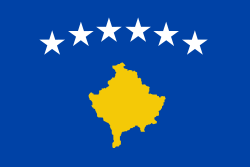 The parliament of Kosovo declared independence today. A reason to celebrate? Not in my view. The argument is basically the same as in 2006 when Montenegro declared its independence: Like Montenegro, Kosovo is neither politically nor economically a viable state. And Montenegro at least had good relations with Serbia before it split off, as is (is my impression) still the case. Proponents may see Kosovo’s much more troubled relation with Serbia as a reason for its independence, but I disagree. Not because I expect that Kosovar independence will trigger another full-out Balkan war as happened in the 1990s, but because the underlying problems that catalysed the politics leading to the 1990s wars have not been solved. After all, not much-derided Serbia, but UNMIK (aided by KFOR) has governed Kosovo since the end of the war in 1999. And where they have not been sufficiently effective in providing people with a better life, this was because of corruption, inter-ethnic violence (now often directed against the few Serbs that remain in the province) and inter-Albanian infighting between the dodgy political offsprings of the even dodgier KLA. None of this is going to improve, let alone be solved, by independence. It is wrong to see the outcome of a political process (like today’s independence) as the only legitimate expression of “what the people wants”. With the same people but different politics, different but equally legitimate outcomes are often possible. In today’s world, “independence” is an outdated illusion anyway, even for large European states – let alone for a tiny blob on the map of the Balkans. So what is the alternative? The popularity of independence movements stems from a desire to be seen and recognised as a culture or people. Especially in a globalising world, the increased application of identity politics is a good thing in principle. But its objectives may be achieved more easily with more flexible concepts of independence and statehood (interdependence of smaller state units forming larger networks and alliances, which form larger networks and alliances, etc.) than with nineteenth century illusions. With more creativity, more goodwill from the Russians and Serbs, and less eagerness from a number of Western states for pre-emptive recognition, an intermediate solution could have been found that would have put Kosovars on an equal footing with their neighbours locally, while preserving regional ties on a larger scale. After all, Kosovo is not, and does not need to be the equal of Germany, the UK or Russia on the world scene. This entry was posted on Monday, 18 February 2008 at 02:52	and is filed under European Politics. You can follow any responses to this entry through the RSS 2.0 feed. You can leave a response, or trackback from your own site.